Some say Casino Veteran has played every game available. Others say he invented the games. Either way, he knows his way around wagering requirements and has compiled this article to teach you everything you need to know. 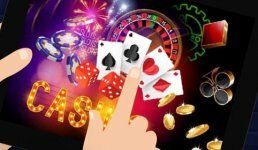 With online casinos being as popular as they currently are, many questions are doing the rounds as more individuals are interested in the hype. 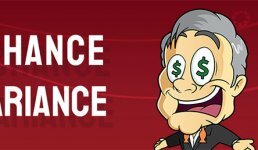 One of the largest attractions of online casinos is the bonuses and promotions offered to both new and existing players. It is no exaggeration to say that every online casino currently in operation offers some form of a welcome bonus, whether it’s a match-up of the initial deposit amount or a number of free spins that can be used on slot games. A wagering requirement is the amount of money that a player must bet in relation to their initial deposit in order to cash out once they have made a profit. 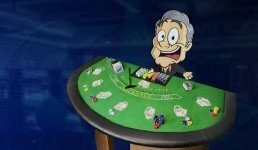 Although most online casinos enforce wagering requirements, there is a collection of no-wagering casinos where these conditions do not apply. Before dissecting the finer details of wagering requirements, it is important to review where it comes from and why it is used in the industry today. What is now a multi-billion dollar industry started in 1994 with the first version of an online casino. The advancement of technology allowed the concept and practice to grow exponentially. At first, bonuses were not as commonly used by online casinos, but as more companies developed their own casinos, new marketing incentives were developed. The largest of these is the welcome bonus, which offers new players a given amount of money upon joining the casino. This incentive plan worked extremely well for casinos, to the extent that handing out bonuses was costing more than it was producing. Bonuses were also being abused as customers would open accounts, cash out with the bonus, and never return to keep playing. In order to resolve this problem, wagering requirements were introduced and bonuses became a lot less of what they were made out to be. The first thing to note is that the word “free” does not automatically exempt any bonuses from wagering requirements. Many online casinos make their requirements clear upfront, while others have them laid out in their terms and conditions. By law, all casinos have to disclose wagering requirements, so players will always be able to confirm these details. Wagering requirements apply to the value of the bonus given to new players upon joining the casino. 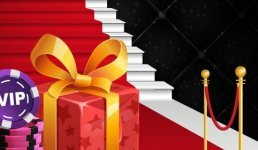 Welcome bonuses may offer anywhere between 20% and 100% match-up bonuses, which means that a percentage of the initial deposit will be granted to the player. The player then needs to be aware of which games contribute towards fulfilling the wagering requirements, and how much. Usually, a select amount of games contribute to the requirements and all at different percentages, which means that each game will have to be chosen strategically. Wagering requirements are stipulated by a number and a multiplication or “x” sign – for example, 40x. This would translate to a wagering requirement of 40 times the sum of the initial deposit. In simpler terms, the bonus amount needs to be bet 40 times before a player can cash out any winnings. There are three main bonus types: no-deposit bonuses, match bonuses and free spins. Each one is subject to its own method of meeting wagering requirements. Firstly, no-deposit bonuses are when the casino gives a new player the opportunity to test their services without making a deposit first. In this case, the casino would grant a bonus with which the customer can play. Should the customer make any profits, they may cash out, but only once the wagering requirements are reached. This means that if the no-deposit bonus was £100 and the wagering requirement was 40x, then the player would have to bet the amount of 40 times £100, which equates to £4,000, before they can withdraw any profits. A match bonus works on a percentage basis, whereby the casino will match a percentage of the initial deposit. For example, if the initial deposit was £200 and the casino matched 100%, then the player would receive an additional £200 with which to play. The casino will then either apply a wagering requirement on the sum deposit and bonus or only on the deposit amount. Keeping with the wagering requirement of 40x, this would either mean that the player would need to bet 40 times the deposit plus bonus (40 x £400 = £16,000) or only 40 times the deposit amount (40 x £200 = £8,000) before cashing out. It is important for players to note which of the two wagering types apply to their bets as it can make a large difference between benefiting and losing when playing with a bonus. Lastly, free spins also count as a form of bonus and are subject to even stricter wagering requirements. For example, if a player was given 50 free spins and, after having played them all, was left with £100 in wins, then that final amount would play the role of the bonus value when wagering. Therefore, when still using a wagering requirement of 40x, the player would have to bet 40 times £100 (£4,000) before they can cash out any remaining winnings. With this information, players will be able to determine exactly how much will need to be bet in order to benefit from the bonus, and whether they could potentially meet these requirements. They will, therefore, be informed enough to choose whether or not the bonus is worth it.